If you prefer keeping up with the latest trend, check out this trendy belt from the house of Hidesign. It comes with a buckle closure that makes it convenient to wear. Above all, it has been made of leather, which gives it a polished look with a natural sheen. 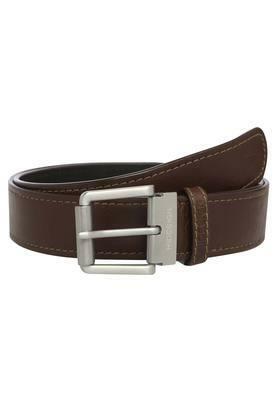 Anyone with a great taste in fashion will love this casual belt, which has been designed to perfection. You can team it with a pair of jeans and a shirt to make a style statement.